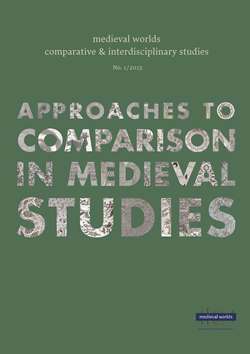 This contribution proposes to compare, but also to connect, the rise of a new type of unlearned historical report, ›fast historiography‹, in Latin and vernacular in the twelfth and thirteenth centuries. Connections are suggested by combining the characteristics of such writing with book and library history as well with social history. New roles of book writing coincided with a larger social spread among authors as well as with a new library horizon – books now began to circulate at higher speed, in greater numbers and in less solemn circumstances. These possibilities were exploited and pushed forward both in Latin and vernacular historiography. This connection has been overlooked for several reasons, primarily because Latin and vernacular literatures are often considered each on their own terms, compartmentalized into two ›traditions‹ in which Latin seems to bear an automatic tag as learned and ecclesiastical. But this is not the case with Gesta Francorum, Galbert of Bruges, Raol (on the conquest of Lisbon), Caffaro, Henry of Livonia etc. – they all resemble the simple account in French of Robert de Clari and others. Related to this argument, the article opens with reflections on canons and paradigms of European medieval historiography (in papal Europe) and suggests that comparisons and connections always spring from certain strong national canons and that the questions they are devised to answer are to a large degree determined by such canonical series. Indirectly the article is therefore also an experiment with comparisons outside the dominant national canons and between non-canonical pieces.